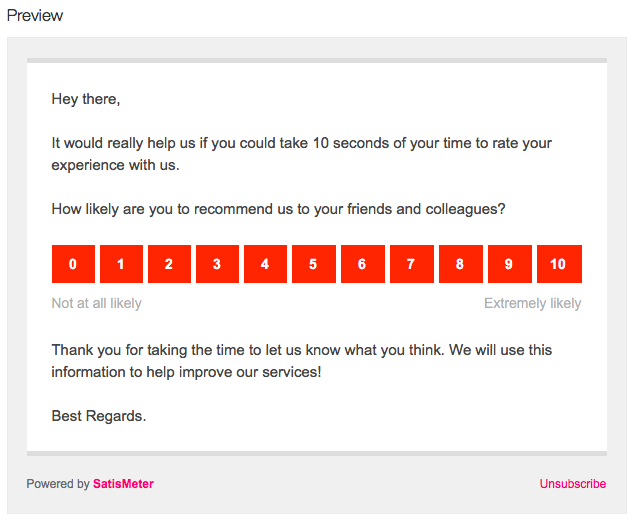 SatisMeter can automatically send email surveys to customers that already churned/didn't sign in to see the survey widget. Weren’t active during the period when the widget should pop up, but logged in at least once in the past 3 months (if the survey frequency is 3 months). 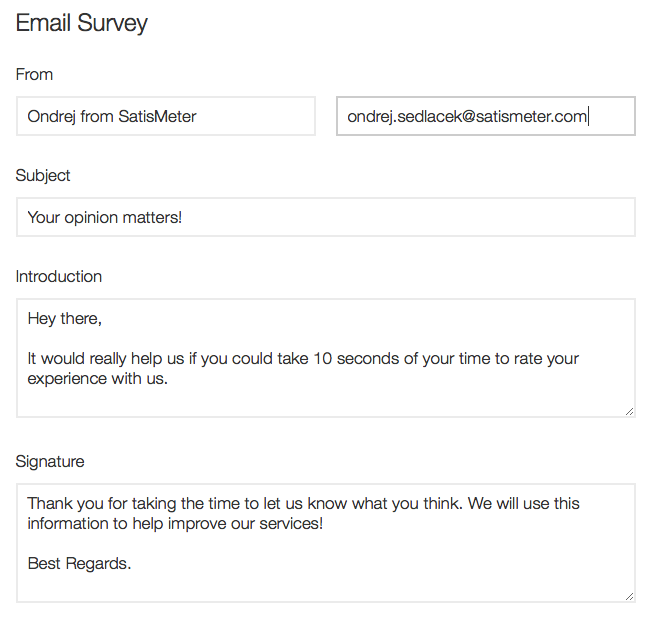 How to set email reminders up? You can enable this feature in Settings/Targeting/Email Reminders. Here, you can also set the time delay between appearance of the widget and sending an email reminder. In this example, the first email reminder will be sent 3 weeks after user signs up (2 weeks delay for widget + 1 week delay for email reminder). How to customize the email?